THE word Epiphany means “manifestation.” It has passed into general acceptance throughout the universal Church from the fact that Jesus Christ manifestedto the eyes of men His divine mission on this day first of all, when a miraculous star revealed His birth to the kings of the East. 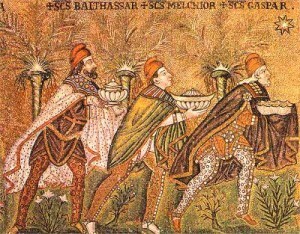 In spite of the difficulties and dangers of a long and tedious journey through deserts and mountains almost impassable, the Magi hastened at once to Bethlehem to adore Him and to offer Him mystical presents, as to the King of kings, to the God of heaven and earth, and to a Man withal feeble and mortal. The third manifestation was that of His divine power, when at the marriage-feast of Cana He changed the water into wine, at the sight whereof His disciples believed in Him. The remembrance of these three great events, concurring to the same end, the Church has wished to celebrate in one and the same festival. Reflection.—Admire the almighty power of this little Child, Who from His cradle makes known His coming to the shepherds and magi—to the shepherds by means of His angel, to the magi by a star in the East. Admire the docility of these kings. 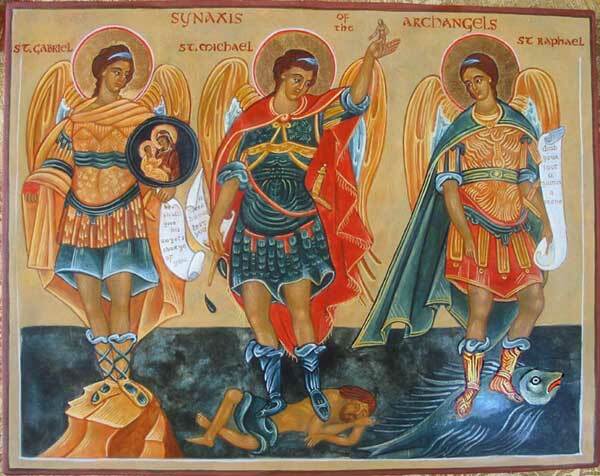 Jesus is born; behold them at His feet? Let us be little, let us hide ourselves, and the divine strength will be granted to us. Let us be docile and quick in following divine inspirations. Then we shall become wise of the wisdom of God, powerful in His almighty power.